What if only one half of the couple wants to get divorced? As divorce mediators, we often hear this question. Generally, both people know that their marriage is rocky. But often, only one spouse feels ready to end it. The reasons vary – maybe one person is more willing to deal with conflict than the other, or one person feels more ready to start fresh. Sometimes, it just takes one person longer than the other to accept that it is not working out. Still, as we tell our divorce mediation clients, if one spouse wants a divorce, it will usually happen. It may just take longer and be more complicated than if both parties agree. 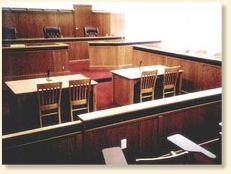 Legally, the divorce process begins when one spouse files a divorce complaint in court. And even if the other party never responds, the divorce can still go forward. This kind of “divorce by default” is doable, but it’s not in either party’s best interest because the agreement doesn’t include the kind of compromises that ensure that both people will follow through. It also involves expensive, time-consuming litigation.